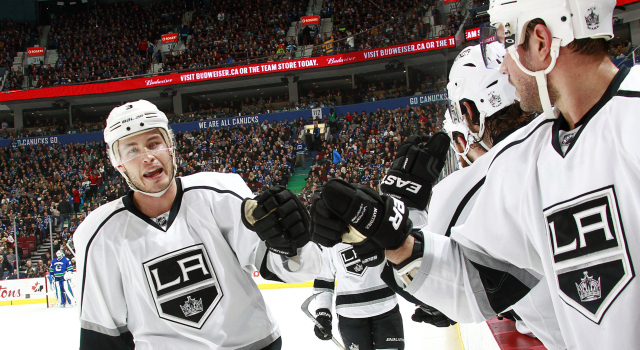 I think our top guys were outstanding – Kopitar and Doughty, obviously Ty with the hat trick, and Jonathan. Well, we know how we have to play early in the game. You don’t always get the opportunity to have that early in the first shift, do you? I thought our defense was really solid and finished checks, moved pucks. Yeah, it’s good to score your first goal. I don’t think he’s going to remember whether he won or not, he’s going to remember scoring the goal. He’s a great leader for our team. Not much different tonight than any other night.